The concept of fixing the alignment occurred to me too. I am in the process of uploading to SimScale now. Will know shortly if it works. No good - same result. It appears that changing the rotation of the wing before merging doesn’t change its relationship with the car when merged. Probably have to find a way to merge the parts in OnShape. I used catia to build the model out, but when I expert as STL. They are always ‘parts’ rather than ‘surfaces’, do I need to build surfaces in catia and export? Export it as STEP and import the file at OnShape. From there export it as STL and see if that solves your issue! No progress - still stuck. I’m Vincenzo. I’ve a problem about last assignment. As you can see from the image, the right plane of my wing isn’t coupled with the right ​plane of the car model. I’ve tryed to change distance but nothing. Can you help me please ? I have tried downloading to some cad programs that I have access to and either they can’t handle the file or generate a model that can’t be altered. At this point in time, I am stuck and don’t know what else to try. Do we know why the wing comes in at an angle and why we can’t move it to the correct position? it is not quite clear to me how I can adjust the position of my front wing and then save it in the correct position. What I did is, I designed the front wing as a new “part”. Then I saved it as a “part” and together with the “testfile” (which gives the wheels, the nose and the bottom) I put it in an assembly to adjust the position. But I can’t save it as a .stl file in this position. Is there something I do wrong? 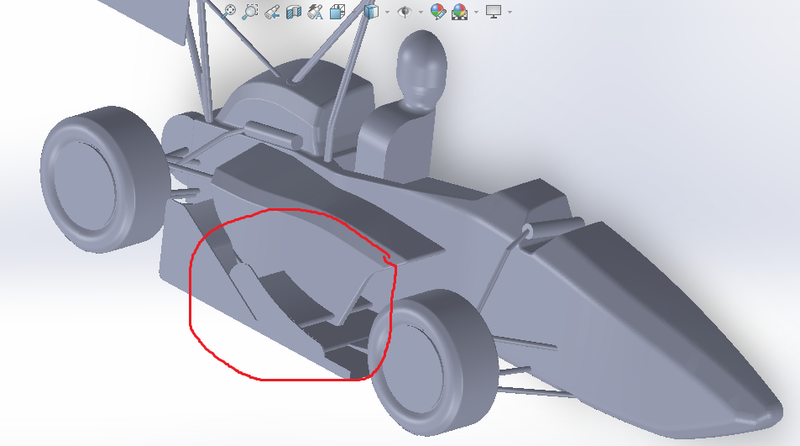 Is there a way wherein I can copy a previous existing simulation, say second one, and replace the front wing with my geometry? The STL file of the model is showing error in opening. I was trying to mesh with the given front wing model. STL files were created on Onshape. I repeated the steps twice. But i got the same errors. Illegal triangles were found after surface tesselation. There could be a problem with the CAD geometry. Trying to proceed anyway. The tesselated surface is not closed. There could be a problem with the CAD geometry (such as self-intersections). Please inspect your geometry. Trying to proceed anyway. Mesh quality check failed. The mesh is not OK. The models seems okay and there isn’t any intersection. Please help. In general you can ignore this message in your case and continue working on the mesh. Will have a look at your project and see if you maybe have an intersection or a non-watertight geometry that might cause some issues. Yes this is possible. 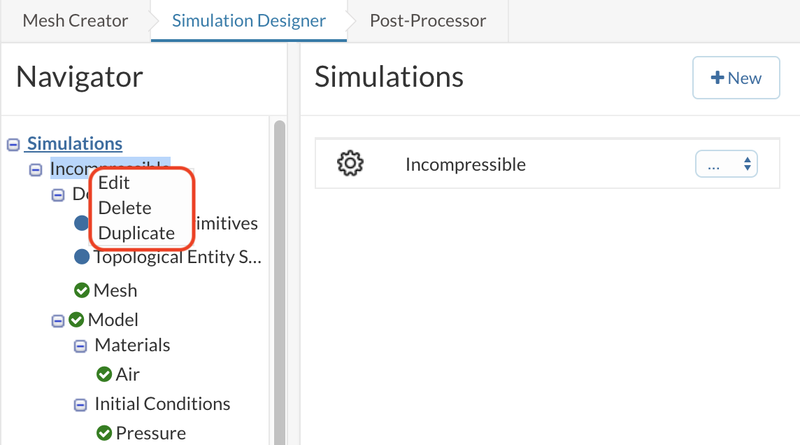 Right-click on the simulation and Duplicate. See the picture below. Did you manage to fix the issue with the positioning. I highly doubt that this mistake is caused by the merging script. Which software are you using? Let’s see if we can get this fixed! Hi again @dond! Sorry for the delayed response! Anything new on your issue? Which software are you using for export? Trying to figure out how we can overcome this issue. we using SolidWorks to draw the wing; and yes, I think that it’s a problem of the merging script because I’ve the same error merging your reference wing. The front and superior plane are in the good position. but right no ! I’ve tried to change several distance from it but nothing; the wing goes back but not further; probably there is a problem with the merge of right plane. It seems that you created the wing with an own coord. system being located in (0,0,0). Before creating the STL, move it along the x axis so that the front is at -1.486 meters. That should help getting rid of the offset. Let me know if it works! unfortunately I am having problems with the geometry. I designed it in SolidWorks, exported it to STL and merged it with the model manually with an editor. However when uploading the geometry first it seems that all the geometry is loading but then the car disappears and just the frontwing is there. I realised that there is a problem with the car geometry, because as i try to open it, it says “a facet normal problem was found on one of the facets. Check your STL file”. Maybe you can provide a new car geometry, if this is really the problem?